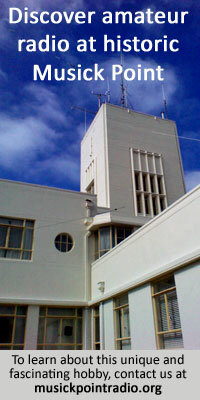 A message received by the Secretary of the General Post Office from the Auckland radio station stated that at 11.40 last evening signals were received from the Northern Steamship Company’s vessel Manaia that she was ashore on Slipper Island, off the Coromandel coast, and was being held by her propellers. At 3 am the company’s steamer Ngapuhi had been communicated with, and was proceeding to the spot, which she was expected to reach at 10 o’clock. At 3.25 am the Manaia reported that tho weather was coming up, and that she was making water fairly fast. There were about 60 passengers on board. A message at 10.22 from the steamer announced that the Ngapuhi had arrived, and was taking the passengers off. Two boats had got away safely. A message at noon stated that all the passengers had been transferred to the Ngapuhi. The following is the list of passengers on the steamer Manaia:— Messrs Johnston, Fyfe, Topplin, Peters, Wilkinson, Harris (2), Capper, Kenney, Ludwig, Ciochetto, Mackrell, Hewlett, Sayer, Hille, Aitken, Jackson, Patrick, Clark, Frost, Fergusson, Canning, Graham, Stein, Teale, Lee, Jethro, Lock, Perryn, M’Kay, Benham, Meredith, Harrison, the Masters Dale (2). Mesdames Begg, Avery, Perryn, Abraham. Misses Abrahams (3), Rich, M’Leod, Brook, Bucknall, Stewart (2), Lully, Best, Scott, Pittaway, Stone, Laurance (2). 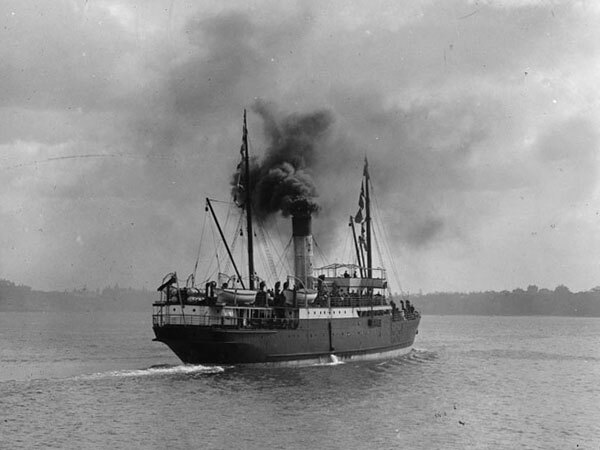 Advice was received in Auckland shortly before 1 o’clock this morning that the Northern Steamship Company’s steamer Manaia had gone ashore on Slipper Island on the trip from Tauranga to Auckland. The vessel was hard and fast, but was not in a dangerous position. Captain Norbury advised that he was all right until this morning, when he asked for assistance. Information of the accident to the Manaia was sent to Auckland by a wireless message from the vessel, which struck at about 11.20 last night. She left Tauranga at 8 pm. At half-past two this morning the Manaia reported that she was holding on to the reef with the propellers. The passengers were still on board. The weather was squally, and the seas moderate, but the steamer was bumping heavily. An earlier message had stated that it was intended to land the passengers in the ship’s boats, but according to the latest advice this has not been done. The ship is equipped with a small wireless set which was installed in accordance with the regulations governing coastal vessels. Captain Norbury and the first officer, Mr. Shirley, are proficient wireless operators, and in addition the chief steward, Mr Long, has had experience as an operator. The harbourmaster, Captain Sergeant, advised at 1 am that arrangements had been made to divert the Ngapuhi, then en route from Whangarei to Auckland, so that she would proceed direct to Slipper Island to the assistance of the Manaia. Up to 2.30 am efforts to get in touch with the Ngapuhi by wireless had not succeeded, but it was anticipated that, failing wireless communication, it would be possible to signal to her from the Tiritiri Signal Station. At 3 o’clock the weather off Slipper Island was reported to be easterly, with heavy rain falling. The Rimu was dispatched from Auckland for the scene of the wreck at 9 am. Slipper Island is twe miles off the coast from Coromandel Peninsula, and four miles south-east from Tairoa Head, and is about 100 miles from Auckland. 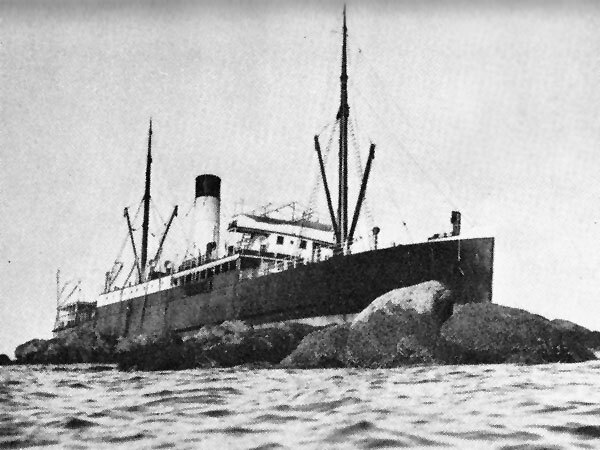 The Manaia is a well-known coastal steamer of 115 tons. She was formerly the Rotoiti, owned by the Union Steam Ship Company, and was purchased some years ago by the Northern Steamship Company. At present she is engaged in the service between Tauranga and Auckland. She was built at Dumbarton in 1898, and her dimensions are: Length, 220 feet; breadth, 33 feet; depth, 13 feet. The “Star’s” Tairua correspondent wires: “The Manaia is about one mile off Slipper Island, well up on the reef behind a small rocky island. A two-masted scow is standing by, and a Northern Company’s steamer has just arrived (10.15 am) The Manaia is keeping steam up. The sea is moderate, and the weather is getting calmer. It is dull and cloudy, but clearing. The Manaia’a cargo includes 34 bales of hemp, 21 bales of tow, 34 bales of sheepskins, 63 cases of fruit, 21 sacks of maize, four cases of bacon, and a quantity of general cargo, also a fair-sized mail. Slipper Island is owned by Messrs G and W M’Laughlin, and has an area of 600 acres. It is used as a sheep run. The Manaia is ashore on “The Watchman,” a small island a mile from Slipper Island. The island is about 30 feet high. The ship appears from Tairua to be broadside on, and down at the stern. She is in a very exposed position. Mr Cory Wright and a party from Tairua proceeded to her early this morning by launch, but at noon had not returned. A fair sea is running. A wireless message from the Ngapuhi at noon stated that all the passengers had been transferred to the Ngapuhi.